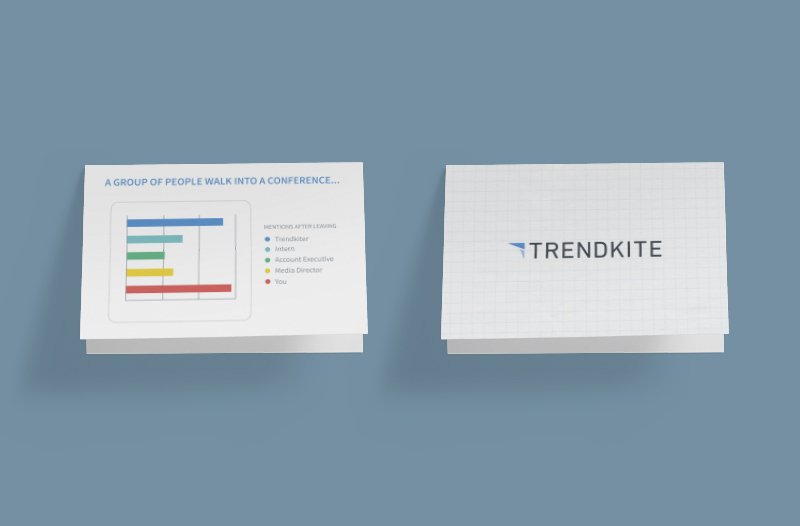 At TrendKite, we were constantly putting out content on social media and via blog posts. This meant that we had to create eye-catching designs regularly to grab readers' eyes and entice them to read our posts. Above are a handful of blog images created by me during my time at TrendKite. I was tasked with creating thank you cards for customers playing off of our products and the graphs in the interface. This included designing and writing the copy for the cards. 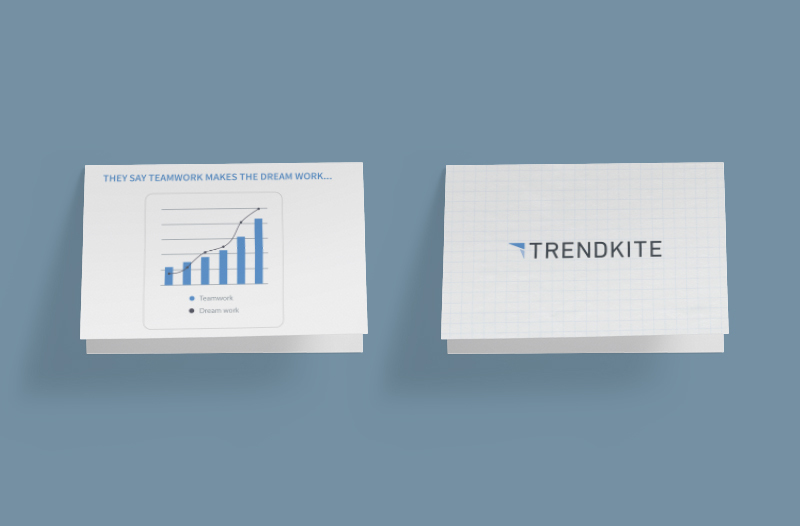 Card One reads: "They say teamwork makes the dream work" followed by a graph showing bars and a line representing teamwork and "dream work"
Card Two Reads: "A group of people walk into a conference" and has bars for TrendKiter, Intern, Account Executive, Media Director, and You. Card Three Reads: "Things we love" and has a pie chart with the 2 variables "tacos" and "working with you". Above are two examples of print pieces I created at TrendKite. The first is a welcome checklist for new hires, and the second is a poster/flyer created to hand out at the WomenHack event held here in Austin. Animation created using AfterEffects and Adobe Premiere for use on social media for Trendkite. Left: A book cover design for TrendKite's Outlook publication. 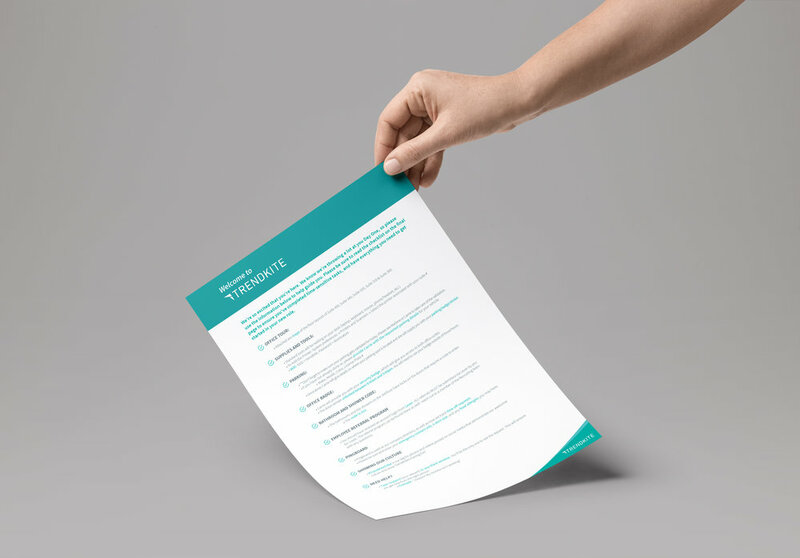 Right: A lockup I did for a weekly webinar series run at TrendKite.